Looking for a way to determine which marketing efforts are really paying off for your SaaS company? It's time to try A/B testing. This method simplifies optimizing for conversions by comparing two variables at a time. 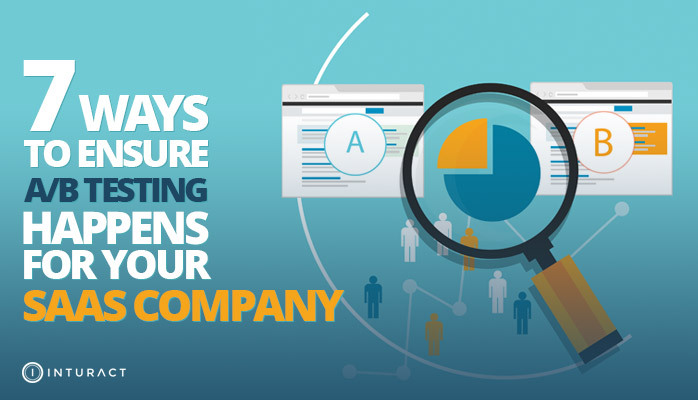 Since SaaS business is all about the customer experience, AB testing is a great way to ensure that you are listening to your customer and their needs. For example, say you want to know the best way to word a call to action (CTA) to drive more free trial downloads for your services. Start by selecting two different CTAs to compare and don't change any other copy on the page in question. Then, randomly assign which CTA will appear for each visitor on your website. The one that churns more sign-ups for the free trial is your winner.